The project Voyager/ Non-human agents investigates the possible forms of artistic practice in space, the composite of art and science and the processes of science culturalization. After more than half a century of remarkable achievements in space exploration, we appeal to the wider space community to recognize art and the humanities as developmental practices complementary to the existing fields of space science and technology, and to therefore integrate them into the space programmes. Art is a constitutive practice enabling entities to explore and manifest themselves as human. 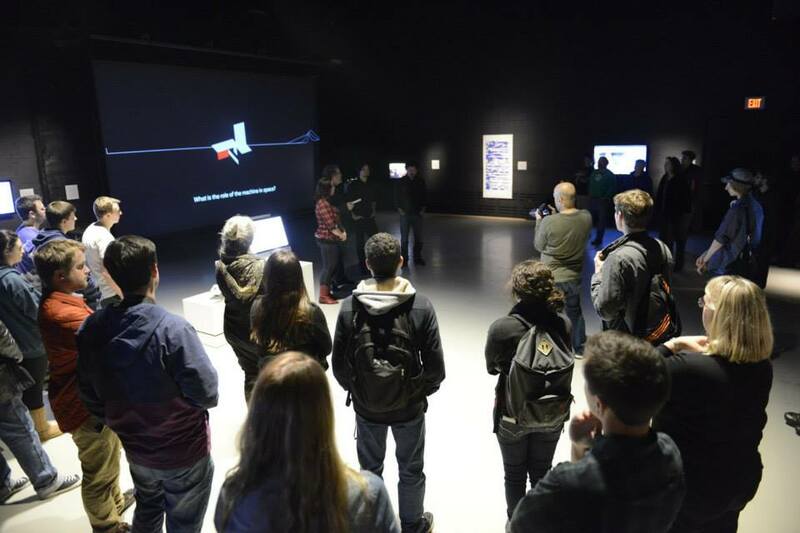 The existing space programmes focus mainly on how to understand the farthest of surroundings and how to develop technological solutions, but tend to overlook the importance of implementing artistic developmental practices and methodologies, condensed in the question: What is it like to be a human in space? Art is a constitutive practice enabling entities to explore and manifest being human. The existing space programs focus their attention on understanding the farthest of surroundings and on the development of technological solutions, but tend to overlook the importance of implementing artistic developmental practices and methodologies, which would pose the question: what is like to be a human in space? 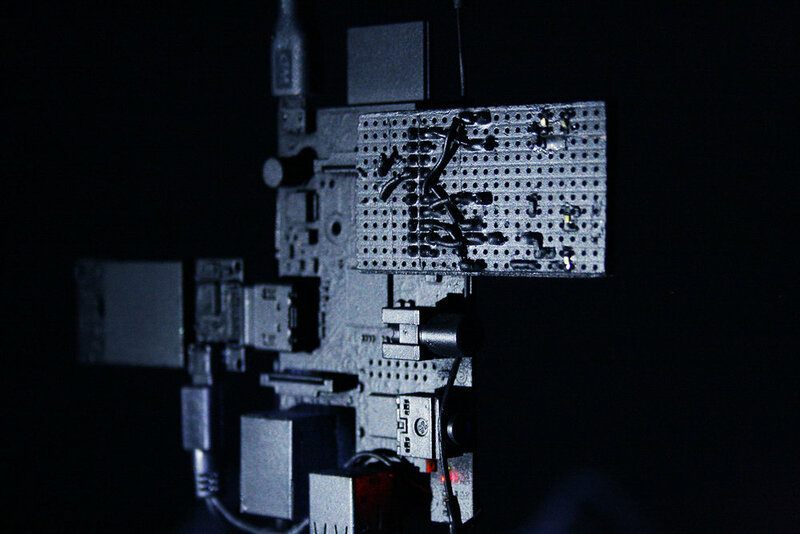 The project Voyager/ Non-human agents investigates the possible forms of artistic practice in outer space, the composite of art and science, and the processes of science culturalization. Their ebbing scientific life calls for a reexamination of their symbolic and utilitarian meanings beyond their initial task along with a consideration of how these terrestrial antennae could engage in a meaningful exchange with their future environment, be it living on inert. 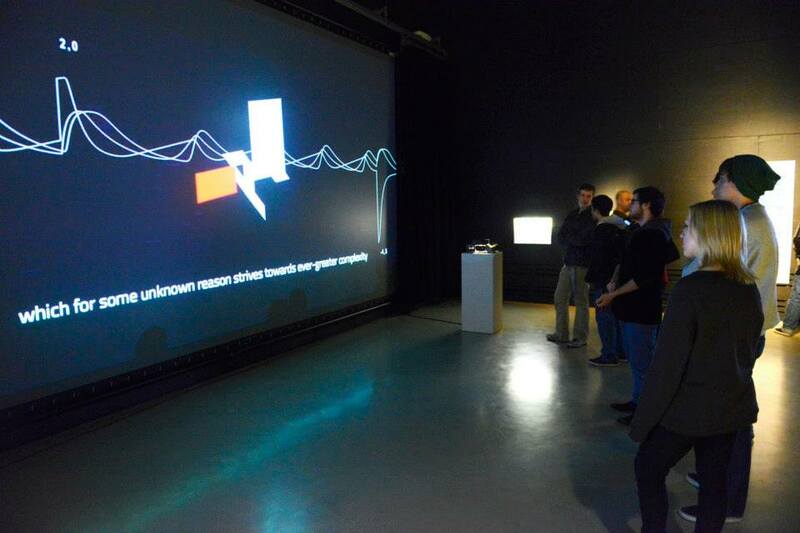 Under the umbrella of KSEVT (the Cultural Centre of European Space Technologies in Vitanje, Slovenia) we explored the feasibility of creating an algorithm-based artwork intended for Voyager 2. The proposed artwork, currently installed in its proof-of-concept form, attempts to kindle alternative paradigms with which space exploration and its (informational) colonization might be approached. Our proposal emphasizes the resilience of entities exhibiting the basic organizational principles of living systems and calls for the autonomy of space probes, both of which point to a post-anthropocentric ontology better suited to the time frame of space travel. Voyager/ Non-human agents is a digital proto-life form consisting of three differential equations that mimic a metabolic loop (Figure 1). The properties of this system are such that they result in a periodically oscillating signal, which is perturbed by information collected from the PLS (plasma science experiment) instrument mounted on each of the Voyager space probes. Due to a combination of positive and negative feedback loops, the ionized particle’s speed is recognized, integrated and absorbed by the digital proto-life, which results in a change in the rhythm of its output (Figure 1). 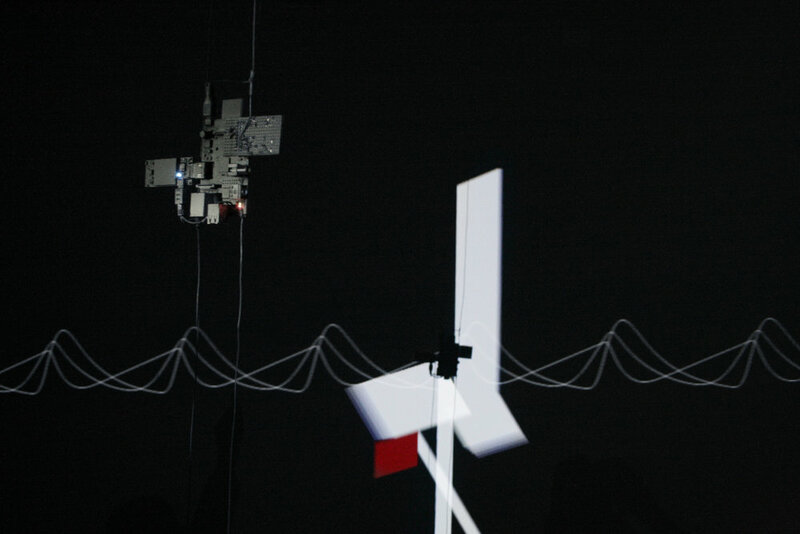 The internal parameter oscillations in combination with external data generate a dynamic suprematic figure, which forms the visual output of the installation and draws the viewer’s anthropomorphic gaze. The equations of Voyager/ 140 AU (above left) and visualization of the signal (below). The change in oscillation due to input from the PLS instrument is depicted in red. The other two components react to the change accordingly. The result is a simple, uploadable computer program, which can be carried out onboard the Voyager using its CCS (Computer Command System) environment. Observing the algorithm’s properties from the perspective of autopoietic systems, we argue that it possesses an abstraction of what we consider living. The oscillating signal produced within the technological infrastructure maintains itself through the interaction of three of its algorithmic components, the properties of which give it a distinct identity, i.e. rhythmicity. The ability to receive input from the environment, facilitated by the Voyager’s sensory apparatus initially intended for scientific data acquisition, results in the digital entity possessing a form of cognition. Albeit it is unable to materially intervene into its surroundings, the algorithm is influenced by them. Finally, the digital life also emits a radio signal using the Voyager’s antenna. The peaks of the oscillating curves are transformed into periodic data, which, in its structure, contains information about both the entity’s environment as well as the principle equations governing its existence. This piece of algorithm art articulates several interesting thoughts on human manifestation in outer space. Foremost it argues for autonomous, self-sustaining systems, which, through the use of technology and knowledge, bring forth the principle of life as we recognize it that might (or might not) be similar to other processes in the Universe. Since it is a simple mathematical abstraction of living systems, its realization falls within the processing capabilities of the 36-year old computer onboard the Voyagers, yet its significance is much greater when we consider the implications of such a line of exploration; we may be on the brink of a Universe populated with artificial life, originating from Earth but designed for extraterrestrial conditions. After more than half a century of the remarkable achievements of space exploration alongside biotechnological and digital advances, this notion is peering from the realm of science fiction into reality and begging to be considered as one of the forces recalibrating the human condition. Further, the concept of the project provides an epistemological alternative to the construction of messages intended for extraterrestrials or future human progeny. Instead of a predefined, conclusive message, it relies on the information carried in its process, allowing an open-ended collection of data that is based on arguably universal mathematics. The message is substituted by an entity expressing its own agency. Finally, the Voyager/ Non-human agents is an attempt to engage the wider space community in the discourse of the arts and humanities as developmental practices complementary to the existing fields of space science and technology, and to integrate them into the space programs.